Our Family Size Condo is located at Rivergreen Resort, in the heart of the White Mountain National Forest, on the banks of the east branch pemigewassett river. Located just 1 mile east of Exit 32, off of Interstate 93 within walking distance of the village of Lincoln. Our condo has 2 Queen Beds, 1 Full bed, and a Twin bunk. Relax in the evening in our large and comfortable resort community great room with with a gas burning fireplace, and large screen TV Our resort has an indoor pool, hot tub, game room and a fitness room.. Click on the Picture above for more information, pictures and rates. 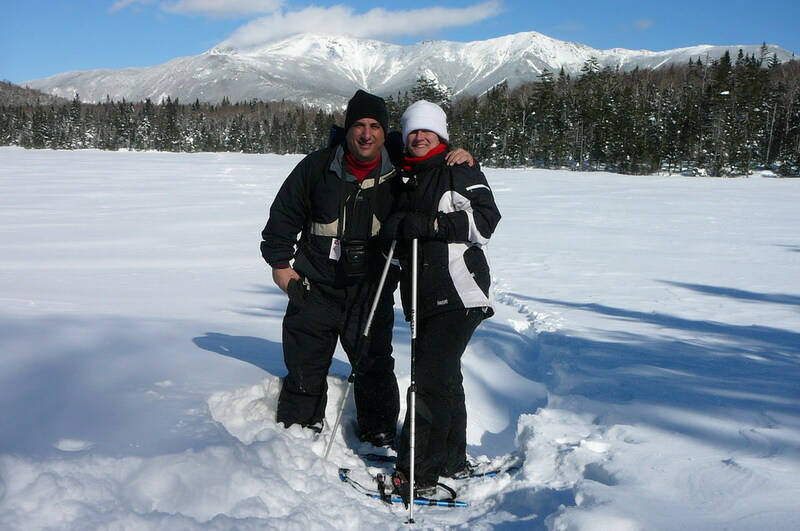 We offer 3 properties for rent in the White Mountains of New Hampshire. Please Click on the links above or on the Picture's below to be directed to more detailed information on each property. Our website is full of information on each property as well as the entire White Mountains Region of New Hampshire. Our Luxury 2 Bedroom Townhome is located in the Lincoln Station Community in the heart of the White Mountain National Forest, on the banks of the east branch pemigewassett river. Located just 1.5 miles east of Exit 32, off of Interstate 93 within walking distance of the village of Lincoln. Our townhome has 1 King Bed, 1 Queen Bed, a set of bunk beds, plus a queen sized sofa bed in the living room. Relax in the evening with a real wood burning fireplace right in our living room. Our resort has an indoor and outdoor pool, hot tub, and tennis courts. 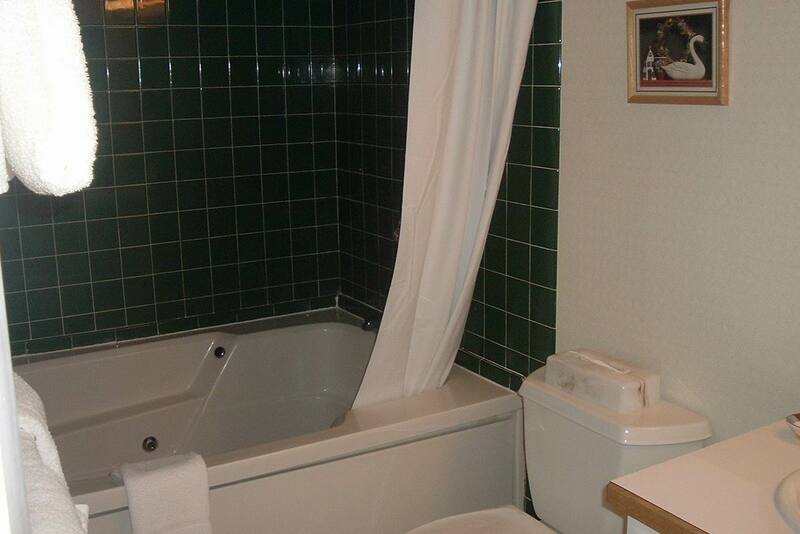 Click on the Picture above for more information, pictures and rates. Relax in the evening with our wood burning stove, or enjoy the indoor and outdoor pool, hot tub, and game room at the rec center. Click on the Picture above for more information, pictures and rates. 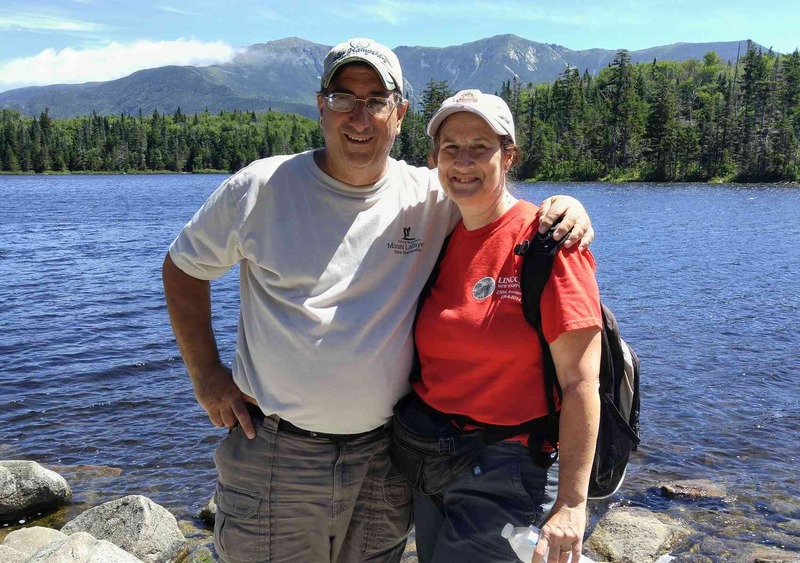 Click on the Favorite Places Button to access over 100 pages of information on the White Mountains that can be viewed or printed out. Click on the Area Internet Links Button for direct links to all of the local websites. 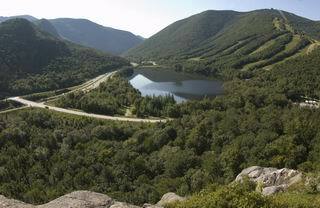 Click on the White Mountains Pictures Button for a slideshow of the many area attractions and natural area's in the White Mountain Region. Click on the About Us Button to learn more about your hosts.